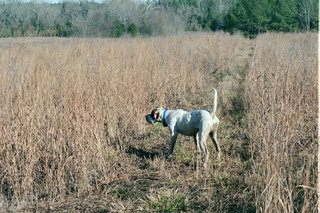 At Briar Creek, we offer quail hunting the way it used to be, with fast flying birds, good dogs, and old-fashioned southern hospitality. An abundance of this sporty game bird can be found in the five separate hunting areas accessable to Briar Creek Lodge. Long after the echoes of your shots have disappeared, you'll remember the thrill of exploding coveys and singles flushing into the clean country air.